First and foremost, it’s hard to review something that you've been anticipating for two years. 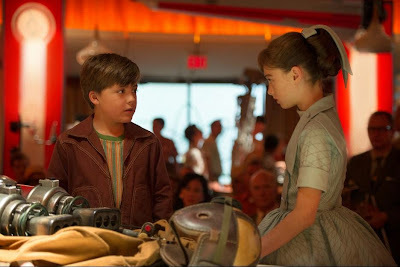 For many nights, I’d lay in bed, thinking about specific scenes in anticipation, wonder who specific characters were, or how they would explain the origins of Tomorrowland. Our journey is just as important as the film, and the film makes an excellent finale to the experiences that we've been on - it drives home a message of optimism and do-it-yourself futurism. 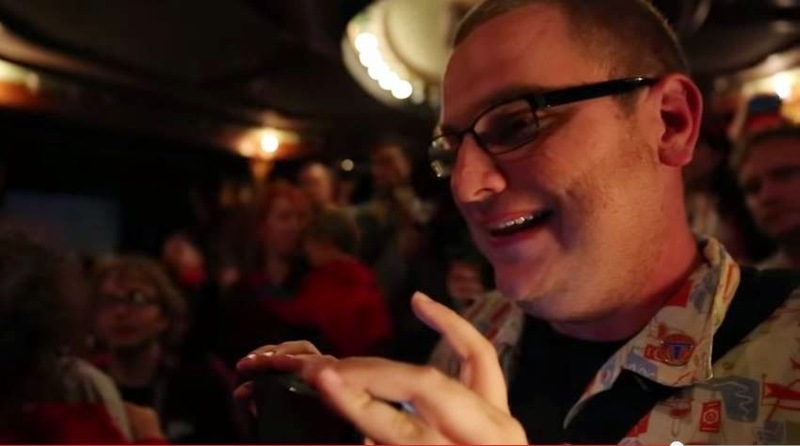 Livestreaming The Optimist finale, crying my eyes out at the importance of family. We've had a complex relationship with this film that started, almost two years ago, with a blog post, and a phone call. The experience of The Optimist over that 6 weeks, redefined me as a person - though I didn't know it at the time. I made new friends on the adventure, such as my co-Tomorrowland-Times-er Nick, solidified friendships, and at the end of that experience, I just thought about things differently - Optimistically. From Bird and Lindelof’s presentation showing The 1952 Box, we felt like they were talking directly to us. We joked about the experience ending with a pin from the start, but we had no idea how important that pin would be. Our glimpse of Tomorrowland, alongside the pin. 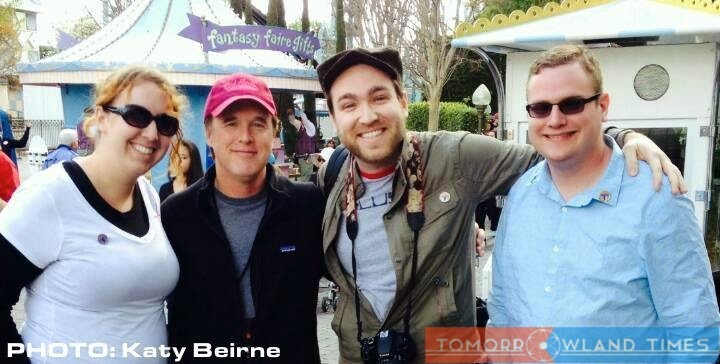 Optimists with Brad Bird after filming scenes at Disneyland. We went to Destination D, and saw a fantastic scene preview by Ramsay Avery, talking about the World’s Fair scenes, and when we finally saw how young Frank accessed Tomorrowland through “it’s a small world” we were ecstatic. What great scenes, so connected to the things we loved, and so true to the experiences we had before. 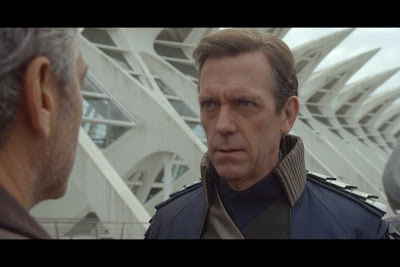 Before Tomorrowland really set the stage for the “the other world” that was beyond our own, and the Disneyland preview hyped it up even more, and after some blue-carpet shenanigans, we were ready to see the film. 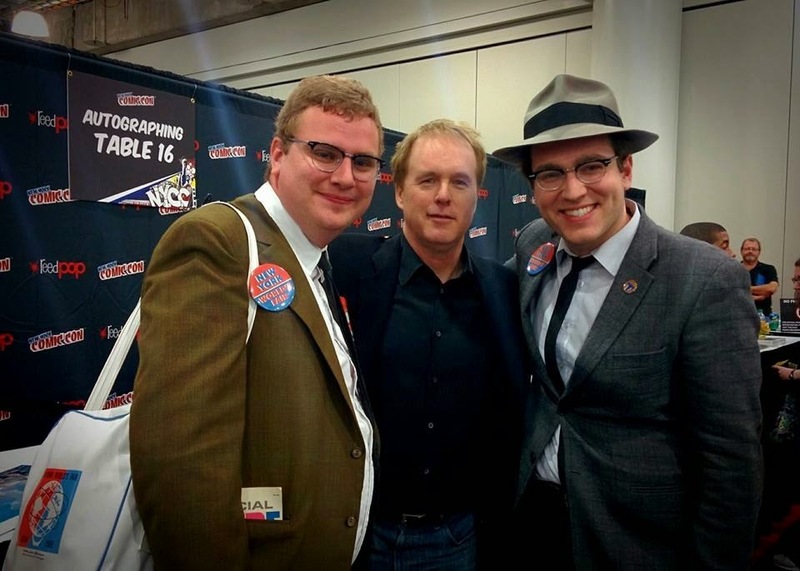 Us with Brad Bird again, at New York Comic Con, sporting World's Fair Cosplay. As we got closer to the release of the film, I was dreading seeing the film. I had gone through lots during the adventures above, including losing both my mother and father, and dealing with the emotional fallout of that. This movie had become more than just a life changing experience, it also bookended the best and worst times in my life. But, through everything - I remained as optimistic as I could. Through the sadness, I know something I was looking forward to would be out soon, and the concept of the release of Tomorrowland got me through many nights. After two years of anticipation, thanks to Disney, we took our seats at amazing TCL Chinese IMAX theater. You need to see this this in IMAX, and on the biggest screen possible. The moment the film started, it felt like we were on an adventure - not unlike the one that started for us two years ago. We’re first introduced to young Frank Walker at the fair, and his adventures there. I couldn't help but feel slightly disappointed when the World’s Fair scenes we know were filmed at the Carousel of Progress and IBM Pavilion were not included (but don't worry Disney fans, “A Great Big Beautiful Tomorrow” plays in it’s full glory), but I pressed on. Casey Newton (Britt Robertson) is the perfect Optimist, her plight faced with so much pessimism in the world around her. A teenage rebel, doing whatever she can to try to improve things, and ensure that her NASA scientist father keeps moving forward. 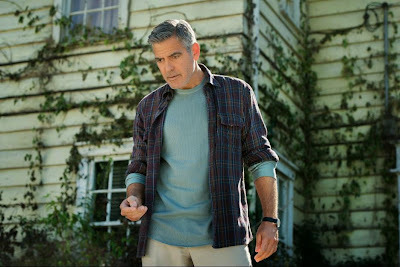 Athena spots this, slips her a pin, and her Tomorrowland adventures begin. As we stood in the Main Street Cinema, we got our glimpse of Tomorrowland, she got her glimpse after touching her pin. There’s an important aspect of Casey’s character that I hope that people seeing the film connect to, is that she knows the problems with our world, and she is always insisting that we fix them. Even after seeing Tomorrowland from the pin, she didn't stop until she found out where it came from. A passion I've felt throughout this whole experience. 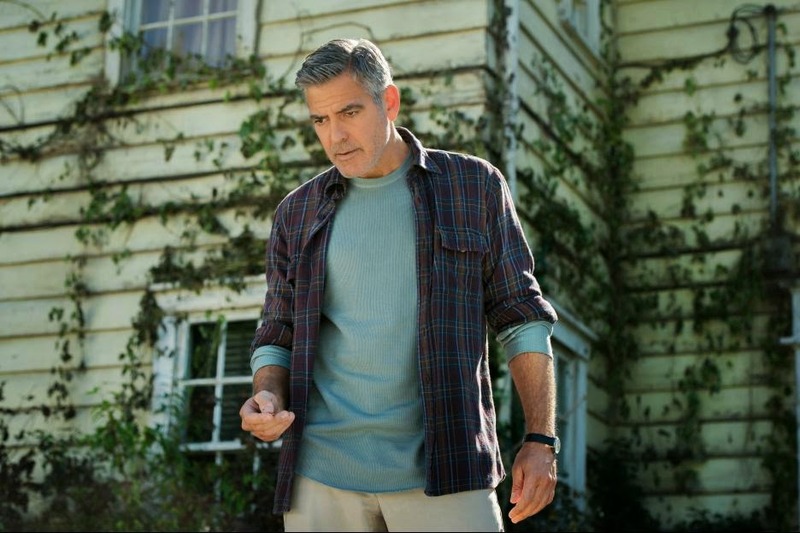 After some crazy travel shenanigans, she meets up with Frank Walker (George Clooney) who has secluded himself in his home full of crazy inventions and in a super-fun action sequence, their adventure to Tomorrowland begins. Frank has literally locked himself up with his technology, lashing back for getting kicked out of Tomorrowland. We get some fun looks at Plus Ultra technology (also in the book), and a scene that takes place at the Eiffel Tower, which thanks to The Optimist, we know is where it all started. 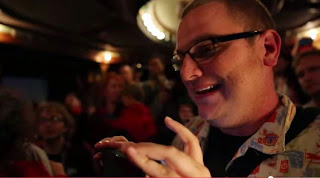 I love Jeff Jenson’s and Damon Lindelof’s world-building here - that I was a part of an experience that’s felt so deeply connected to it’s final product. I couldn't help but get this massive grin on my face when Frank is explaining to Casey how Plus Ultra was formed, and how excited he is to tell the story (in comparison to the grump he’s been before that). Frank seems to be hyping himself up again about visiting again and the history of Plus Ultra, a feeling I've constantly gone through the last two years. David Nix (Hugh Laurie) is the current governor of Tomorrowland, and while it’s not explained how he got into that role, he is clearly the ‘bad guy’. He’s given up on society on earth, and Frank and Casey must convince him that he’s wrong. Nix delivers a great monologue about how we just seem to accept the bad fate we've caused ourselves, rather than change it. Again, Brad Bird’s action direction shines here, as we get some fun and romp fight scenes that involve small robots, big robots, and all kinds of fun. As we get to the last scene, I couldn't help but have the waterworks start flowing. It’s beautiful, and a perfect last look at Tomorrowland. Throughout the film, we see some common themes. That technology only serves us best when it serves us together, that there is no fate - we control the future. This is such in contrast to the other popular films that we see today. We want to accept our fate with apocalyptic movies and stories that are driving us right now. That over the last 50 years, we've gone from looking forward to a future where we do anything that is possible, to a future where we just accept it’s going to fail. We can change that. That everyone can be a bright thinker and create that big, beautiful tomorrow. This message is exactly what we need right now. I can't help but think about my favorite Disney live-action movie as a kid, Flight of the Navigator, and how that inspired me - and I hope that Tomorrowland does the same for our future generation. Younger generations growing up need a story to inspire them, and I hope Tomorrowland fills that need. It’s the perfect Disney family movie. I've lived this adventure for the last couple of years, and through everything we've done with this movie - it’s been optimism, taking risks, and having fun. Pressing forward, doing what we can to keep the optimism for it’s release high, and hopefully bringing you along for the fun. In a way, the experiences that I've had truly make it feel like I've lived this movie story and message. If you’re reading this, grab your kids, grab your friends, go out to the biggest screen possible, grab some popcorn, and get ready for a fun-filled adventure. On the ride home, think about how you can make the future a better place. We each play a role in building tomorrow. 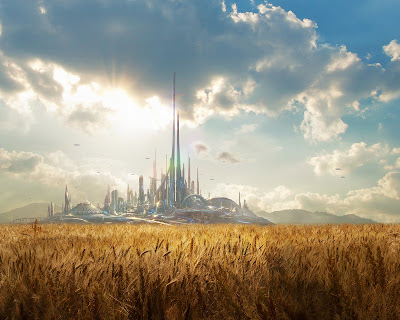 Having lived the Tomorrowland experience vicariously through you over the last few years, Hastin, I was just a little worried that the movie wouldn't live up to your expectations. I'm glad you came away with such a positive experience. This makes me very happy to read. Thank you for sharing with us, Hastin. I didn't think anything could make me more excited for this movie's release, then I read this. Thanks for a great review that I can totally relate to. Wow just when I thought excitement to see this movie could get any higher. We already have group Family and Friends all going at the same time when it opens. And we all matching NASA caps Beemans gum and of course our pins. It will be an event, thank you so much . Unfortunately for me the movie did not live up to my expectations, BUT I think it's a fantastic family movie and you should DEFINITELY take your kids, as I did. It's really a movie for the next generation... to inspire them to grab the world from the adults as they grow up. My 9-year-old son loved it and it gave me hope and optimism for him and the world in the future. That being said, I think the movie itself suffered from a number of flaws that I won't get into here. If you see the movie yourself you'll see what I mean. Most of the D23 fan audience I saw it with at a advanced showing seemed pretty underwhelmed as well. This movie had great potential, but (for me at least) went in a very different direction. We never really got to see much about Tomorrowland itself, or what it was/could have been. Perhaps a sequel would focus on Tomorrowland itself?